If you deal with the Elizabethan era, you have to deal with Shakespeare obviously — Poul Anderson's A Midsummer Tempest deals with an alternate history in which Shakespeare is regarded not as history's greatest playwright, but as its greatest historian. The events of all of his plays, even the ones with faeries, really happened. Shakespeare also appears in the Sidewise Award-winning short story The Undiscovered by William Sanders. After being marooned in America, he attempts to stage a production of Hamlet with the Cherokee Indians. There's also a whole host of fictional works dedicated to what "really" happened to the lost works of Shakespeare. Love's Labours Won, the lost sequel to Love's Labours Lost, is the subject of the Doctor Who episode "The Shakespeare Code" — The Doctor helps Shakespeare deal with some alien witches, although the episode is technically more of a secret history than an alternate one. Another lost Shakespeare play, Cardenio, makes an appearance in the Torchwood book Trace Memory by David Llewellyn. Love's Labour's Won is also mentioned in Harry Turtledove's Ruled Britannia. Britannia deals with a world where the Spanish Armada makes landfall in England and conquers the entire country. 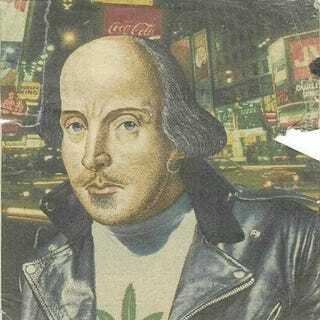 Shakespeare tries to write a play to inspire the populace to rise up against the Spanish invaders and free Queen Elizabeth from the Tower of London. The fixation on Shakespeare in Elizabethan alternate history is understandable, but — as a bit of a Shakespeare nerd — I've often found the struggle to shoehorn him into fiction strange given how little we know of his personal life. Especially since we have a great historical playwright with some genuinely crazy history sitting there ignored on the shelf. Meet Christopher Marlowe, contemporary of Shakespeare, author of Faust, and double agent for England against the Catholic Church (I am not making this up). In addition to that, Marlowe also died under mysterious circumstances in a bar fight that may in fact have been a hit organized by Sir Francis Walsingham, inventor of modern spycraft. As a professional paranoid, Walsingham may have decided that Marlowe was, instead of a double agent for England, secretly a triple agent actually working for the Catholic church. Keep in mind that this plot is all taking place in 1593. Perhaps the problem with Marlowe is that you don't really need to fictionalize him when you've already got history this crazy, but a few author's have at least tried to one-up history with some fictional versions of Marlowe's life. He's a bit player in Ruled Britannia but ends up playing a more major role in Howard Waldrop's Heart of Whitenesse in which he tracks a real-life Dr. Faustus in a frozen 16th century England. Marlowe also protects England as a spy in a world where magic is real in Melissa Scott and Lisa A. Barnett's The Armor of Light. The most straightforward Marlowe alternate history is also the one with the least amount of spycraft. In Dave Hoing's The Onely Shake-Scene in a Countrey, Marlowe has to step up and become history's greatest playwright in a timeline where Shakespeare died young.